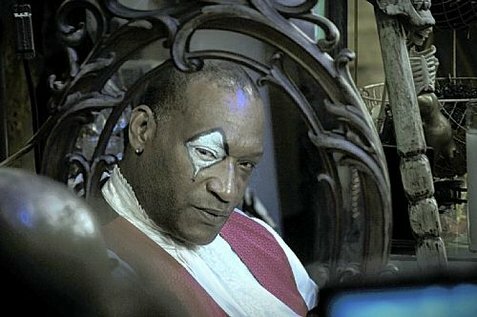 Tony Todd is often unjustly considered to be just a horror actor, but one only needs to take a look at his filmography to see that he’s working in countless genres. Indeed, his television work alone has found him bouncing from sci-fi (“Star Trek: Deep Space Nine”) to comedy (“Chuck”) to action (“24”). Mind you, we’re probably not doing a whole lot to change that whole he-only-does-horror-movies perception by talking to him about his work as Reverend Zombie in the “Hatchet” franchise – “Hatchet 2,” by the way, is now available on DVD – but we did at least make a point of trying to ask him about as many different roles as possible. We did not, however, say the name of his most famous film five times in front of a mirror. (We’re not crazy). Tony Todd: Good, good. Just going through the day. BE: I can imagine. I’m sure they keep you busy. A tight schedule. TT: It’s really weird when they give you someone for 15 minutes, then the next person, “You’ve got 15 minutes…” It’s like speed interviewing. (Laughs) But I guess it’s a necessary part of it. Where are you calling from? TT: Norfolk, okay. I just did a movie down in Petersburg, Virginia. BE: Not too far away from here. TT: It was great. Some of my best work I think I’ve done in a horror film. BE: Which movie was that? TT: It was called “Unbroken.” There’s a company down there called Stormcatcher Films. BE: Right, exactly. Very cool! 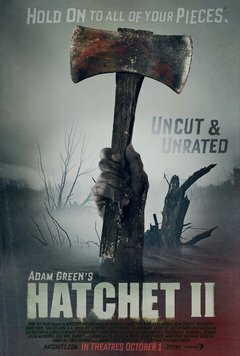 So…”Hatchet II.” You got to play Reverend Zombie again. BE: Plus, we got to see a little bit more of him this go around. TT: Yeah. Well, he had told me the back story when we did the first one, so I was able to play that scene in the first one knowing the full knowledge. And then we got to go down to New Orleans, which is one of my favorite cities. BE: Even better. So what was it like to get the chance to step back into the Reverend’s shoes? I mean, he’s certainly an interesting character. TT: Yeah, I tried to find his reality, which is that he’s a small time con man from New Jersey. His real name is Clive Washington. And just like when we go from high school to college, you get the opportunity to reinvent yourself, and he’s a reinvented person that, unfortunately, is believing his own hype. He can’t shed it. BE: How did you and Adam first meet up? TT: I met Adam on a convention circuit, actually. He comes from the fan world. He’s very enthusiastic; loves film, particularly horror. I think we chatted a few times, and then he made me an offer to play Reverend Zombie. I turned it down. And then he and (John Carl) Buechler kind of lobbied and convinced me that it was a project worth taking.